PurePro Eco RO Membrane features next-generation membrane technology offering the highest quality permeate at 30% lower energy consumption. Enabled with a Mineral Guard technology, this membrane retains essential minerals in your drinking water, making it safe, pure and healthy. 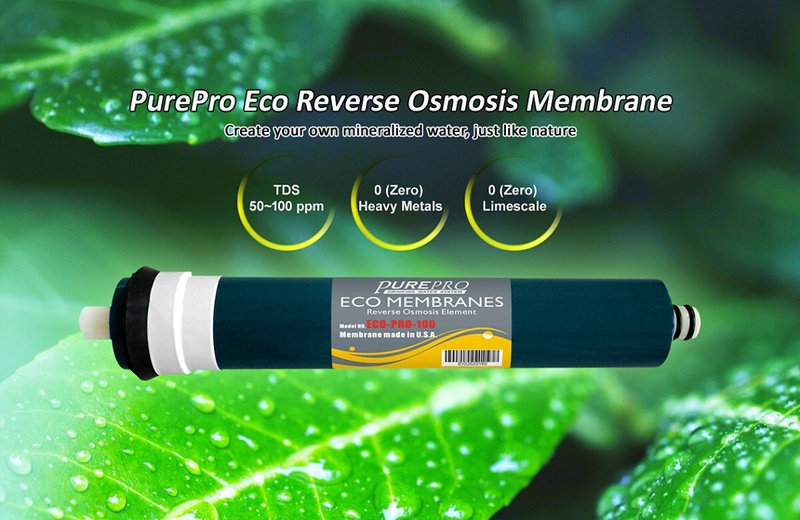 The size of the pores on the Eco Reverse Osmosis (RO) membrane are 0.0001~0.0003 microns allowing it to remove bacteria, viruses, heavy metals, viral contaminants, and other dangerous elements while still allowing valuable minerals to pass through, and for your body to absorb. In order to achieve the Golden Cup Standards of the Specialty Coffee Association of America (SCAA), it is recommended that filtered water that contains between 50-100 ppm (TDS) produces the best tasting coffee. PurePro® Eco Reverse Osmosis (RO) are designed for the people who still want to keep the mineral element inside the water. 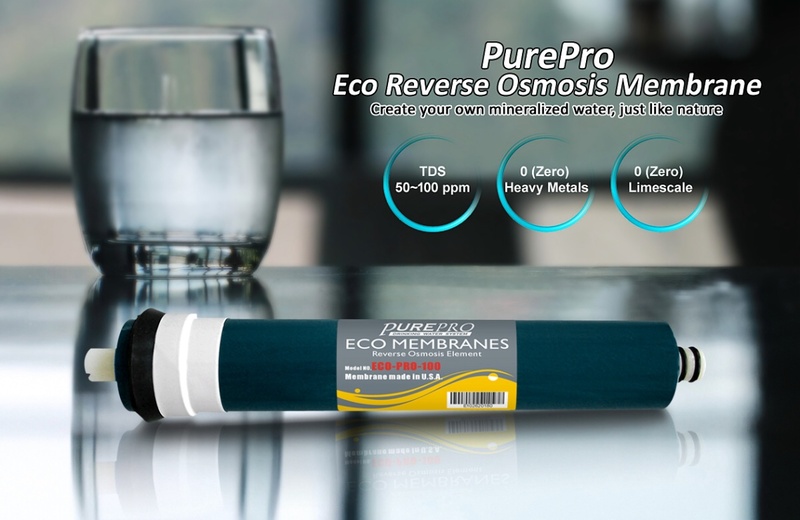 The size of the pores on the Eco Reverse Osmosis (RO) membrane are 0.0001~0.0003 microns allowing it to remove bacteria, viruses, heavy metals, viral contaminants, and other dangerous elements while still allowing valuable minerals to pass through, for your body to absorb.